Encapsulating the evolution of fire, PRMITV showcases the art of ancient cooking styles involving flames. 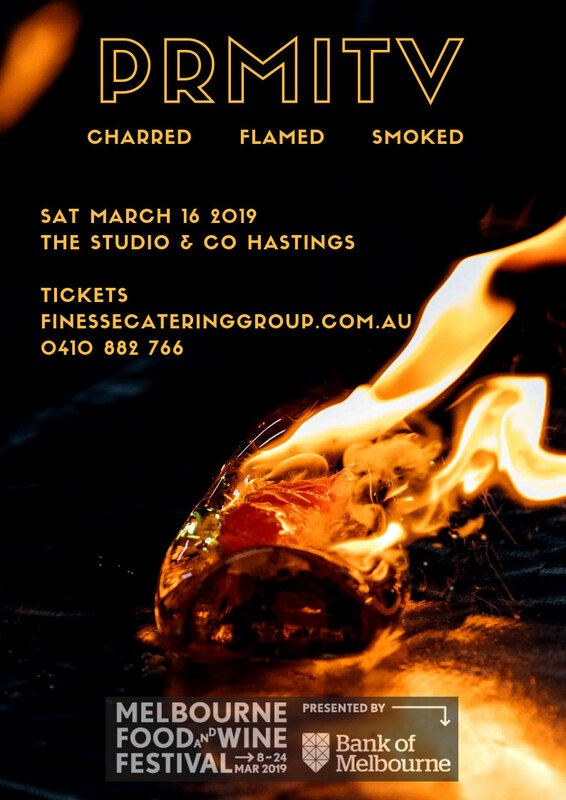 Finesse Catering joins glassblower, Leisa Wharington in her creative space – The Studio and Co. Guests will be met with unparalleled culinary creations inspired and cooked on open flames. Experience one-off dishes like Hawkes “clay baked” potatoes, Athabaskan style salmon, charred gin octopus & smoked campfire dessert.